After Lamar Jones chatted with Grammy-nominated rapper Logic and actor Joseph Gordon-Levitt, he said he knew better than to get too excited. The 37-year-old has been around the music business long enough to know not all projects come to fruition. 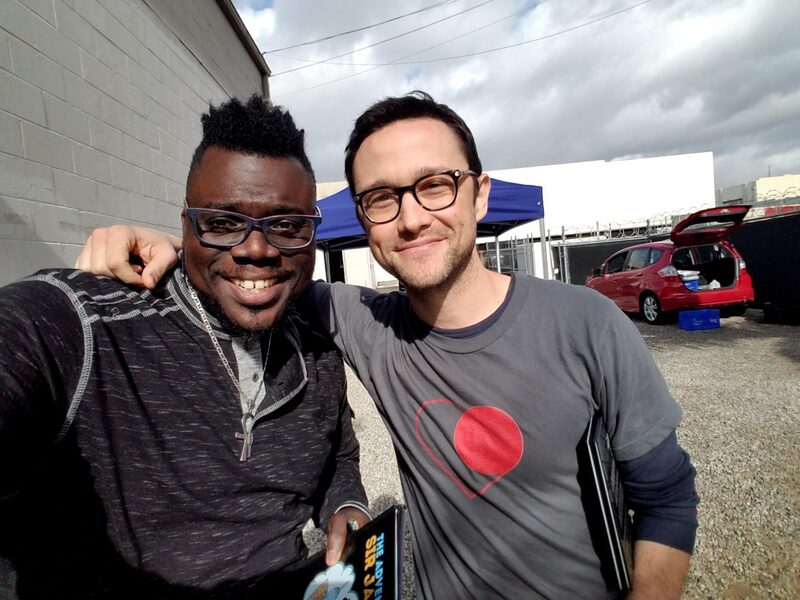 The hip-hop star utilized Gordon-Levitt’s creative community, HITRECORD, to solicit for instrumental and vocal contributions. Jones’ trepidation passed and he realized the opportunity he had. Jones is an entrepreneur and educator assisting kids with special needs at Weslaco East High School. He came to the Rio Grande Valley in 2008 for an educational summer program but ended with him making the Valley his permanent home and becoming a substitute teacher. Jones’ approach to the classroom was different from most substitutes. “I began to connect with a lot of these kids” when talking about “growing up in a bad situation,” he said. “When I was about 9, I started living with my grandmother because my mother was on drugs. Writing became what Jones used to “escape the day-to-day harshness,” he said. Expressing his feelings became poetry, which laid the foundation for his early songwriting. “For me, I have to be inspired to write,” he said. It wasn’t until a few days before the deadline that Jones was creatively motivated to write and record elements for Logic’s song. Jones and the other collaborators didn’t hear the song until they were together in California with Logic and Gordon-Levitt last fall. “The track is tight — definitely exceeding the expectation of what it was going to sound like,” he said. Jones’ vocals are used at the climax of the breakdown, and layered throughout the chorus. “As a musician, it’s always cool to be recognized by someone’s that done it and has that experience in the industry,” he said. What was most striking to Jones was the camaraderie and positivity with his collaborators, who were strangers at the time. He described a scene of high-fives, laughs and smiles when they congratulated each other for their work. The group was featured on Logic’s music video that evening, and the entire creative process was documented for a YouTube documentary that premiered at South by Southwest this year. “I kinda feel like I’ve been preparing for this all my life,” Jones said about his experience with HITRECORD. In all of Jones’ endeavors, he said the central theme is following his passions. Whether it’s his “The Jank” barbecue sauce sold in H-E-B stores or his autobiographic children’s book. “The fact that other people enjoy it as much as I do makes me feel good because I’m able to put a smile on somebody’s face,” he said. He said he’ll be an educator as long as we can continue to successfully manage all his ventures.